It’s no secret that Taobao is every shopaholic’s go-to source for inexpensive clothes, especially since the quality and design of clothes has improved vastly in recent years. 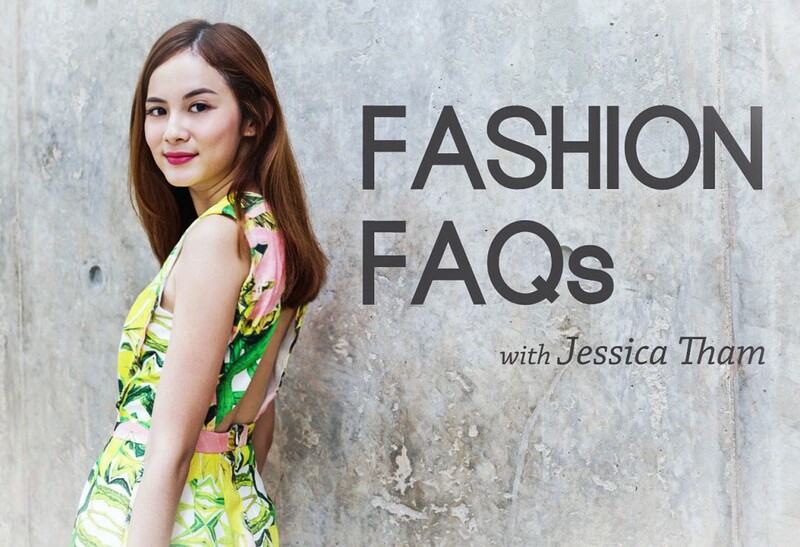 As we’ve learnt from resident Taobao shopaholic Jessica Tham (@tippytapp), looking classy doesn’t necessarily mean you have to dress designer from head to toe. Here are some easy hacks to make your Taobao outfits look more expensive. Go on, we won’t tell. 1. Neutral is the way to go. The thing with Taobao is that there is such a wide spectrum of styles to choose from: shameless knock-offs, inexpensive but good quality basics and even er, the occasional piece that makes you go WTF. While it can seem daunting to sift through thousands of item listings, an easy trick is to stick to neutral colours and classic cuts. You can’t really go wrong with basic colours like black, beige or white in a sturdy fabric. Neutral palettes generally tend to look classier than loud prints and bright colours, especially in classic cuts like A-Line skirts and shell blouses. Also, make sure that your clothes fit – nothing says cheap better than an ill-fitting blouse or skirt that is too tight. Need recommendations on good and inexpensive tailors? See here for some of our favourites. If you want recommendations on where to shop on Taobao, see here and here for a list of Jessica’s favourite stores. Nothing pulls together an outfit better than a structured bag, especially if you want to look professional and polished. If in doubt, stick with a classic combo like black leather and silver or gold hardware. 3. A little bling wouldn’t hurt. 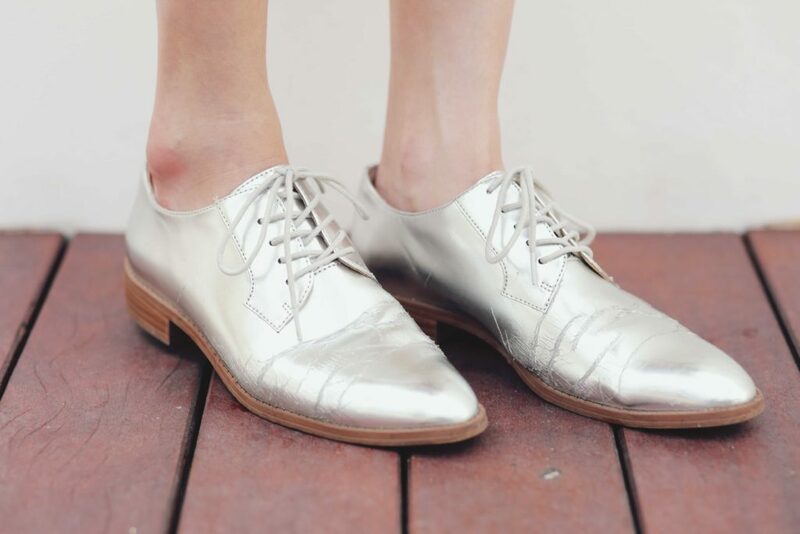 Instead of reaching for your usual black ballet flats, accent your outfit with a pair of metallic brogues instead. Hints of metallic will add interesting elements to your outfit, but be careful not to go too overboard with the bling (you don’t want to attract any magpies do you). Go for muted metallic tones (such as pale gold or brushed silver), so that you don’t look too OTT. Metallic shades are also surprisingly versatile, as they match easily with most colours. 4. Make a statement…with your accessories, that is. 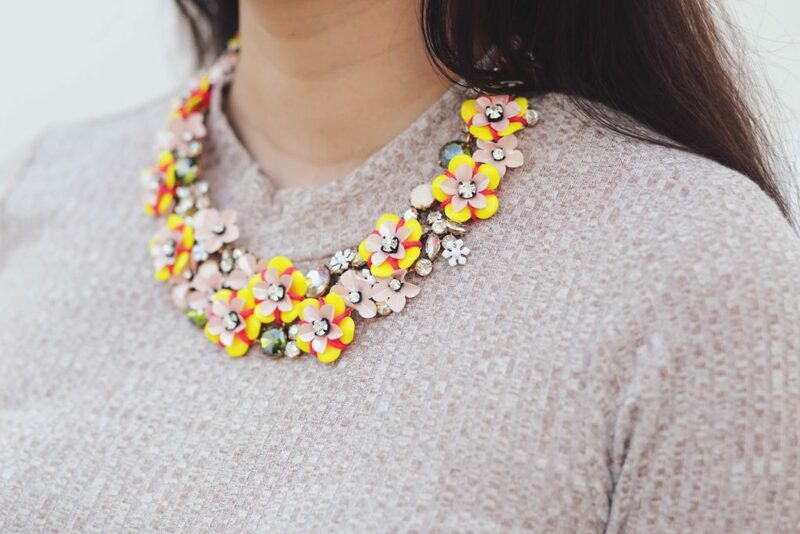 A pretty statement necklace will pop against a neutral OOTD and make it look extra Instaworthy. An easy trick to look put together is to make sure that all your accessories match up. Avoid mixing gold and silver accessories, and try to stick to the same general colour scheme.